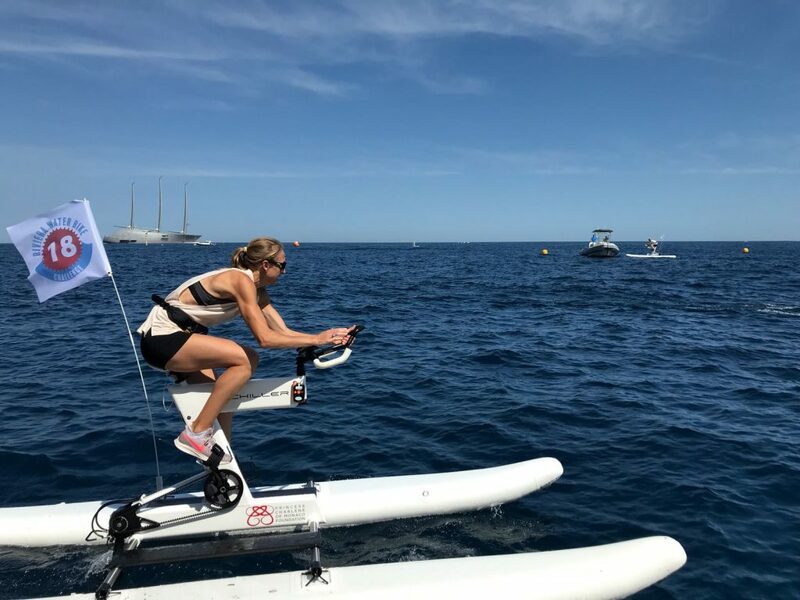 Following on from the epic Riviera Water Bike Challenge in June which saw 44 pro-athletes racing Schiller Water Bikes in Monaco, the San Fransisco based company has joined forces with the Extreme Sailing Series to host two days of water bikes races alongside the pro sailing championship. At the end of August the Extreme Sailing Series™, now in its 12th year, arrives in Cardiff Bay, UK and from 24th – 27th August an array of Olympians, world champions and America’s Cup superstars racing on identical hydrofoil catamarans called GC32 will battle it out to win the only UK leg of the ultimate stadium sailing race global championship. On Saturday 25th and Sunday 26th, the revolutionary Schiller Bikes will also take to the waters in Cardiff Bay. A series of water bike races will be held, with the winner riding away on their own Schiller Water Bike. A mix of the superstar sailors, VIP guests and members of the public will compete in 20-minute relay races in a knockout tournament from 5-7pm. The winner with the fastest time over the two days will receive a Schiller bike to take home. If you are interested in taking part in the Schiller Bike races, there are a few spaces left and you can can email martin.evans@ocsport.com to get involved. The Extreme Sailing Series™ began in 2007 as the original Stadium Racing sailing circuit designed for spectators, delivering high-performance action close to shore at a free-to-enter Race Village and allowing guests to feel part of the action. 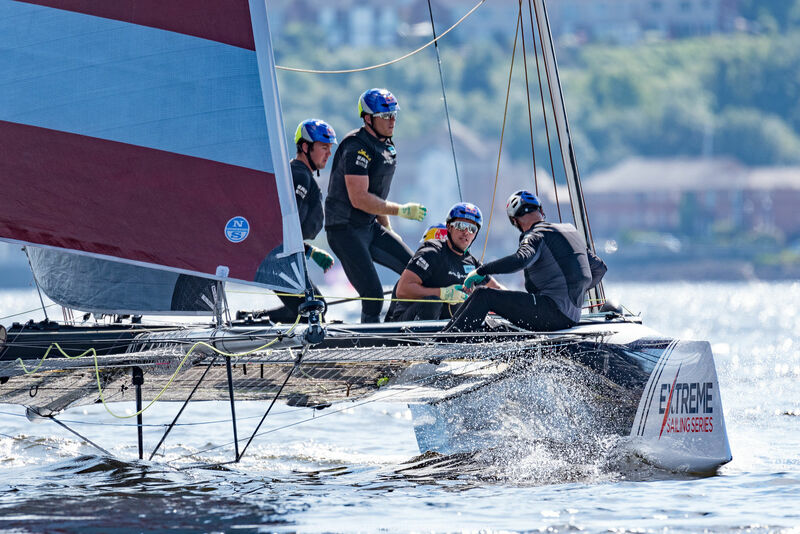 Some of the world’s top sailors take part, racing the hydro-foiling GC32 catamarans on short courses, covering the Middle East, Europe and the Americas. Hailed as “the world’s most radically redesigned bicycle” the S1-C is constructed out of marine grade alloys and stainless steel, it has proprietary propulsion, a high gloss carbon fibre outdrive, integrated handle bar steering and rugged high-pressure, drop-stitch pontoons that allow for easy transport, assembly and breakdown. Cruising speed is 4-5 mph and the S1-C can achieve speeds of approximately 10 knots per hour (10 mph / 16Kph) depending on rider ability. 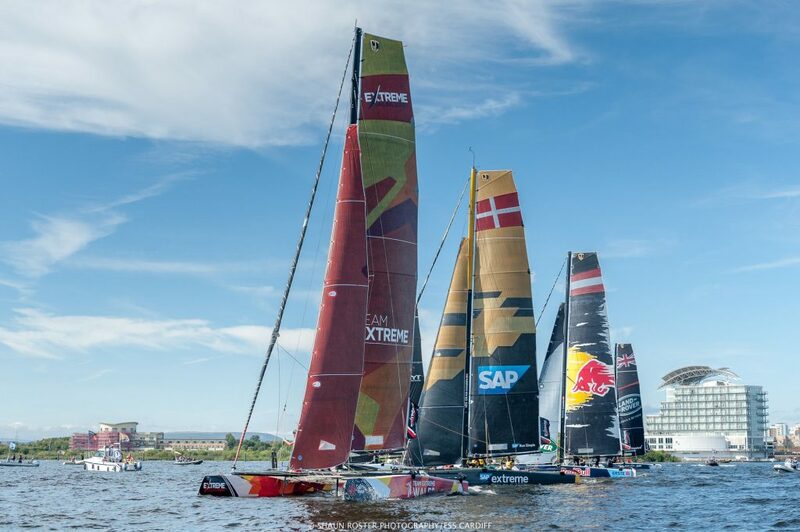 Come and meet the team, take the ride of your life on a Schiller Water Bike and watch some world-class extreme sailing in Cardiff! CEO and owner of Global Superyacht Marketing, Sarrah works with superyacht business clients helping them to access the superyacht community through the latest digital marketing techniques.